My heart sank when the boatman told me that the sandbar in Virgin Island would not be visible because it was high tide at that moment. 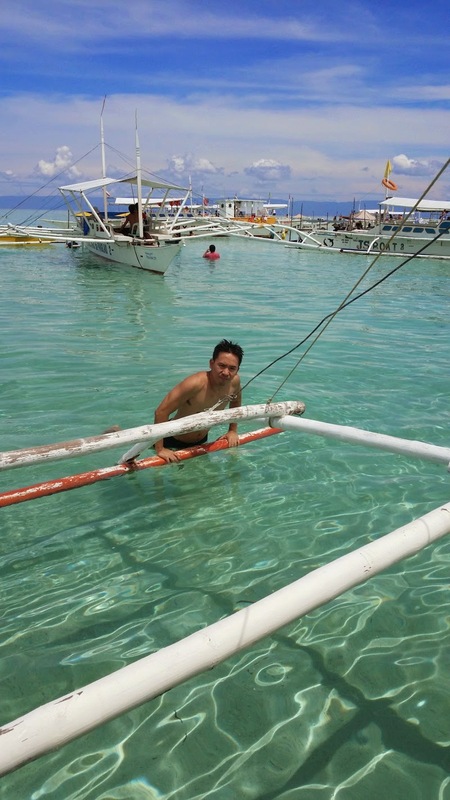 I just returned from snorkeling around Balicasag Island (more on that later) when he told me that, and I felt bummed about it. Despite my slight irritation and not wanting to waste the opportunity to see it, I still asked him to bring us there - me and my travel buddy +Arvy Villamarzo - before we go back to Panglao, in Bohol, where we spent the Independence Day weekend. Virgin Island is located about twenty minutes by boat from Balicasag. Several hundred meters from the island, a shoal - made of powdery white sand - is exposed during low tide, like the one in Camiguin. The boat ride going there was uneventful, but the sun was already beating down hard on us when we got there even though it is not noon yet. From a distance we can already distinguish it even though it was submerged in about three feet of water. 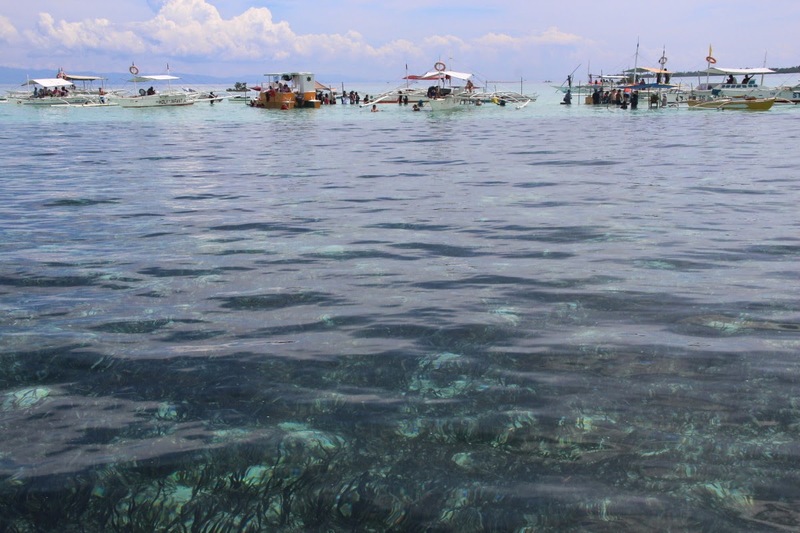 Around the sandbar it is the deep blue color of Bohol Sea, delineating the light aquamarine water over the shoal. You can even distinguish where the two colors meet, distinct like the borders of a paint-by-numbers coloring book. The seagrass growing on the seafloor also made some of the areas darker in color, like dark blotches in a light blue canvas. As we approach the sandbar the water becomes clearer, crystal, as Tom Cruise would put it in A Few Good Men. 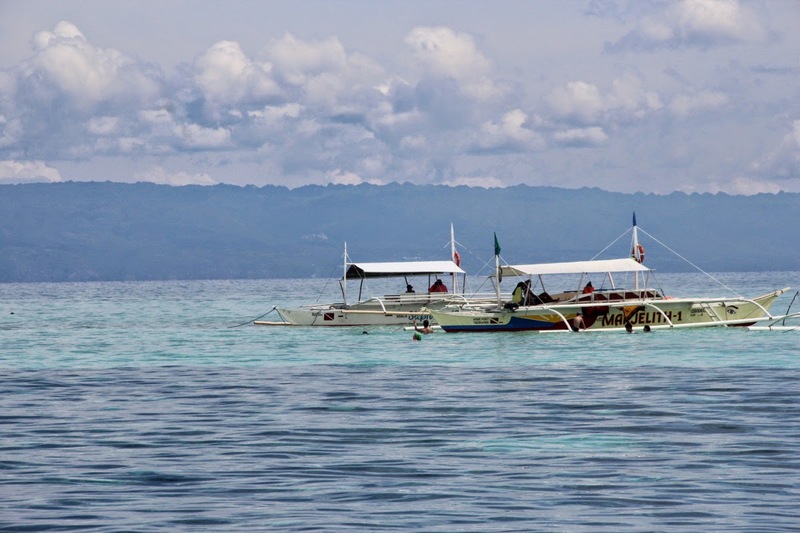 A gaggle of bancas are anchored at the edge of the sandbar, laden with visitors like us. Our boatman maneuvered ours to one side and dropped the anchor to secure the boat. I did not waste any time, diving into the clear, cool water as soon as we came to a halt. I swam around the sandbar like a duck to water (not sure if that's even the right metaphor, but it's three A.M. when I'm writing this). 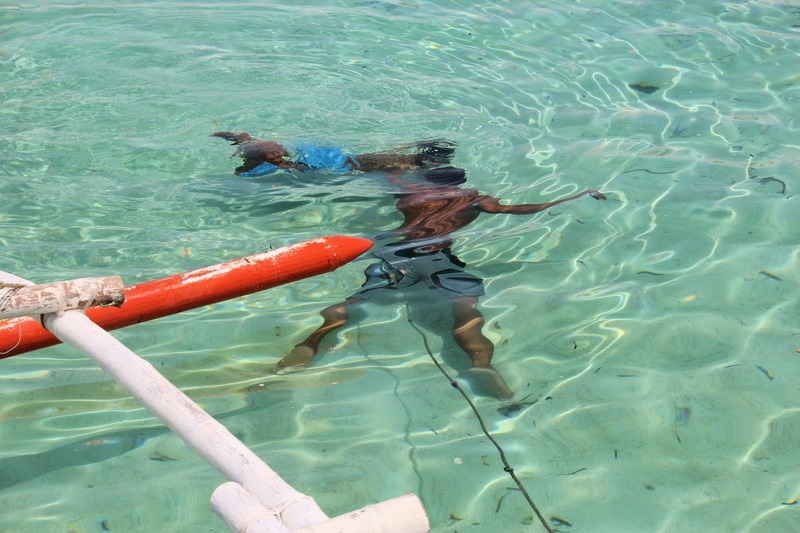 I was joined by the boatman, who seems to stay underwater for a long time before surfacing. Arvy stayed in the boat though, content with enjoying the fine view of surrounding sea framed by the blue sky. I on the other hand, stayed on the water until it was time to go back to the mainland for lunch. 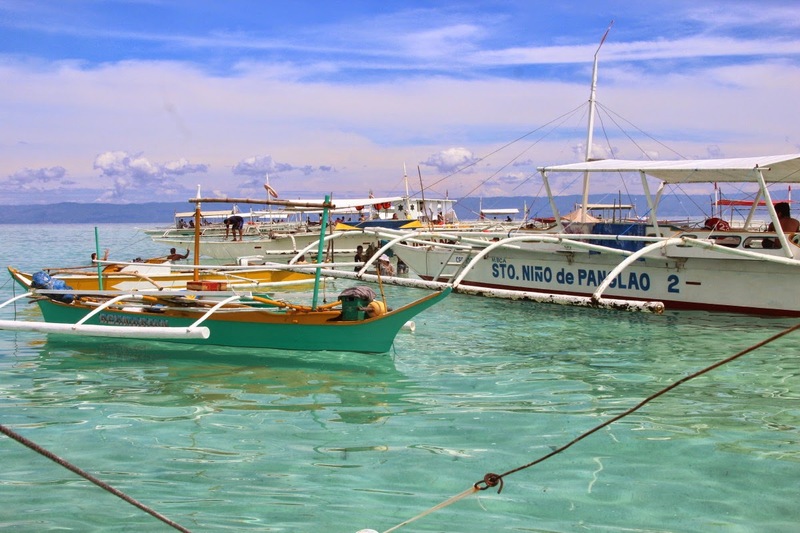 Virgin Island is located just off the coast of Panglao, halfway between it and Balicasag. It is accessible by bancas that you can rent from mainland. The trip from Balicasag is about 20 minutes. The boat rental are now standardized, but the fee would depend on how big the boat is and how many in your party are going. We got ours for PhP 1500 (for both of us), and that includes the trip to Balicasag Island and dolphin watching. Ask the boatman to bring you there there on a low tide. 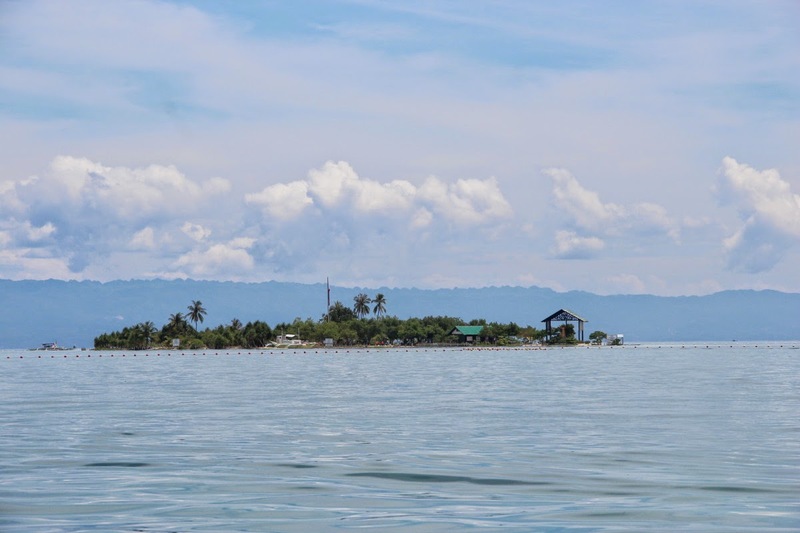 The sandbar is accessible to anyone, but the island itself is not, as it now a private resort.